Healesville Solar Town – Connected Town! 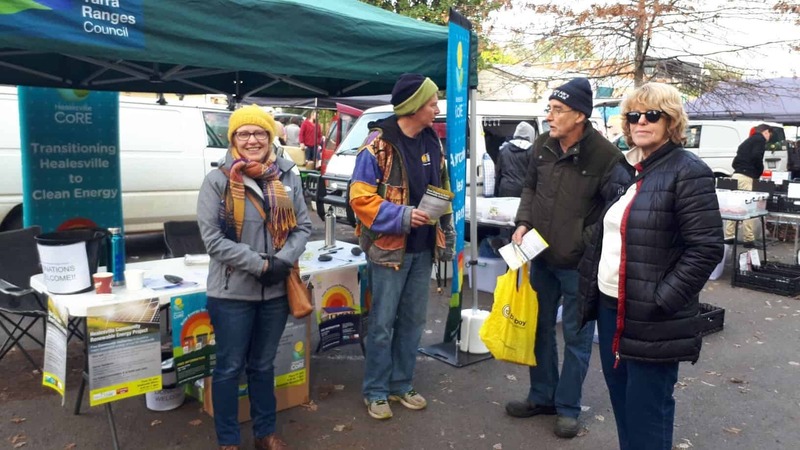 Healesville Community Renewable Energy Inc (Healesville CoRE) is a small not-for-profit group of local community volunteers working towards transforming Healesville into a renewable energy town. Our vision is to create a zero-carbon town by 2027! We want affordable, clean energy to power and empower our community! Will you join us in creating this vision? Community energy is about communities taking control of their energy consumption, production, distribution & storage. Equity of access is very important. A prime task of Healesville CoRE is to organize the technical expertise, business structures, contracts and finance necessary for the whole community to benefit from these great renewable energy initiatives. An important function will be to engage our community in this process of energy transformation, so these creative changes are embraced by our community. We will work together for the common good of our town, bringing greater connectedness, equity, resilience and sharing. Energy from the sun has created the magnificent natural environment which surrounds our community. We can farm that energy to reduce and to eventually eliminate our dependence on fossil fuels like coal and gas. We can significantly reduce our contributions towards air pollution and carbon emissions to help mitigate the effects of climate change. 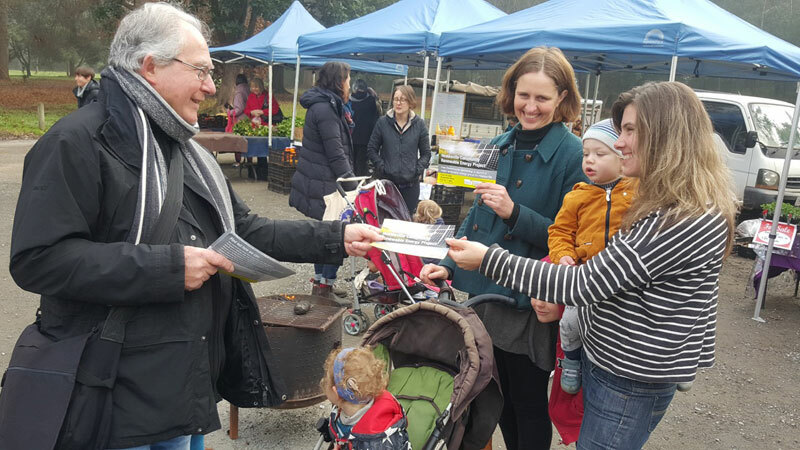 Healesville CoRE volunteers are engaging our community in an ongoing process of communication and sharing of ideas. We are working to organize the technology, the installation and optional finance of solar systems so the whole town can benefit from renewable energy. This is to help reduce grid energy consumption, energy bills, energy poverty and to support the whole town in the inevitable transition to renewable energy. Healesville CoRE will hold the vision and do the work until, as a community, we achieve our goal. We won’t do this alone, but together with the whole community. We aim to create an example for others to follow, demonstrating how an empowered, connected & engaged community can take control of its own clean energy future. 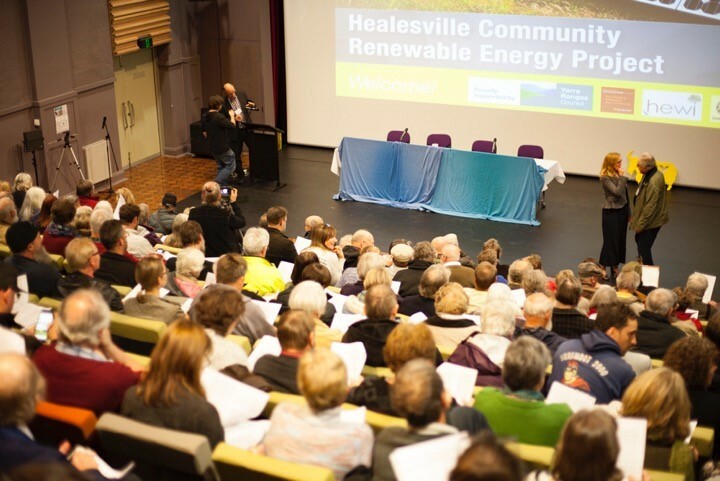 Let’s Be Visionary with Renewable Energy in Healesville! Want to join us in creating this vision? Reducing the amount and type of energy we use through energy efficiencies; bulk buying schemes for solar electricity production (with or without batteries) and solar hot water or heat pumps; facilitating landlords & tenants to embrace renewable energy with new technologies etc. Developing ‘distributed renewable energy’ within the community where we buy and sell to/from each other; utilising a community energy retailer with significant economic benefits to us all; building a solar farm & solar gardens, pumped hydro and mini hydro systems and town-sized energy storage solutions; purchasing energy for the whole town at wholesale rates from wind and solar farms from within Victoria or interstate; and much more! Healesville residents, businesses and community groups will take control of their energy production, distribution, storage and consumption in the move towards ‘Zero Carbon’. We will create opportunities for local ownership, retaining money in the community that would otherwise be lost to large energy companies and overseas interests. We can establish a Social Enterprise to manage this process, financed by our larger projects. We aim to become a model for other towns in our region and eventually set up an Information/Action Hub for other groups to access information and inspiration for their community energy projects. Community energy is about communities taking control of their energy consumption and production. Equity of access is very important and a prime task of Healesville CoRE will be to organise the technical expertise, business structures, contracts and finance necessary for the whole community to benefit. One of our most important functions will be to engage our community in this process of energy transformation, so these creative and visionary changes are embraced by our community, so we all work together for the common good of our town bringing greater connectedness, equity, resilience and sharing: Healesville Solar Town – Connected Community! We began with a Community Gathering at the Healesville Memo on 29 June 2017, inviting a group of inspiring speakers to launch the idea and to engage the town. As strong turnout with an attendance of 225-250 people, one of the largest meetings in the town’s history, enabled us to established a group of 72 community volunteers. In 2019 we will to continue running these working groups, programs and workshops and we will deliver the Healesville Community Solar & Battery offer. We need your support and would love to hear from you. Contact us for further information or click here to become a financial member or here to donate to support our work.